Why does the onset of winter mean Depression to some people? Many of us are not aware but in some places around the world, it gets dark as early at 4 pm and there are people who suffer from a condition called SAD (Seasonal Affective Disorder). It is caused mainly due to the shorter days, the chilling weather and the onset of darkness as early as 4 pm in the evening. Statistics say that in UK over 29% of the population suffers from this condition and 10% with a condition known as reverse SAD or Summer SAD, because this occurs in Summer’s and not in winter. Now, you might be wondering that winter and depression is understood but is it that people suffer from reverse SAD in the summer. Aren’t the long summer lazy days a lot of fun. But, depression could be caused due to the increased humidity and heat as well but as such no proof of the same is available as of now. Sometimes even looking at people enjoying summer can lead to FOMO and depression. As per experts, people who have had episodes of depression earlier are more prone to the possibility of getting this condition than others. Further people who are at the vulnerable to allergies too have a high probability of getting this depression as allergan’s can cause inflammation of the airways thus triggering depression. The symptoms of summer in the beginning are mild but as it nears the end of spring they start getting severe. These include loss in weight, insomnia, loss of appetite as well as anxiety or agitation. 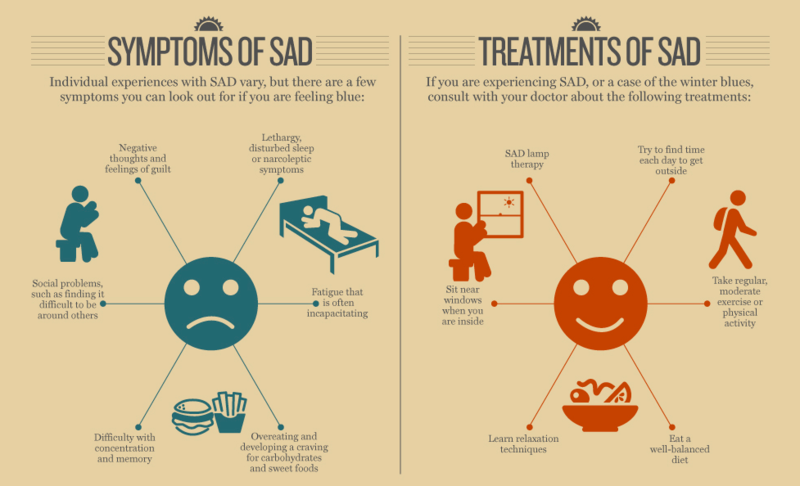 The treatment abroad available for SAD is already approved by NICE and is known as Transcranial Magnetic Simulation (TMS). This treatment does the role of modulating the brain activity affectively thus helping to reduce the symptoms of this condition in a safe and effective way. Though this condition is not very common in India, it is very common in countries like UK and other parts of the world as well. This entry was posted in Education, Healthcare and tagged medical colleges in bangalore, medical institutes in bangalore, SAD, Seasonal Affective Disorder, Winter Mean Depression to Some People on November 28, 2018 by admin. Having a healthy lifestyle is always a good idea but diabetes is one condition that makes following a healthy lifestyle sort of mandatory as it is a part of the treatment more so. We all know that diabetes is a result of our body’s inability to make insulin and that when you eat food it gets converted to glucose. This is the time when our pancreas release insulin in order to help sugar to get absorbed by the body. Understanding about the role of insulin is what helps us understand that unavailability of insulin can hinder the work of our body system. If there is no insulin then the body cells starve due to unavailability of glucose. This can damage the working of kidney, eyes, nerves and the heart. 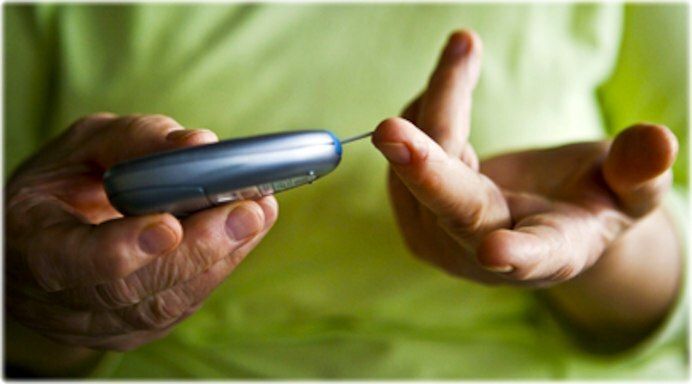 The most common type of diabetes is type 2, mostly occurring in adults. People with type 2 might be able to prepare insulin but not enough. Symptoms of diabetes type 2 include feeling thirsty, peeing frequently, fatigue, vision issues, feeling hungry, numbness or tingling in hands or feet, to name a few. Treatment of diabetes is based on the inclusion of a balanced diet together with regular exercise. Medication is also included if even after following a healthy lifestyle, you are not able to maintain sugar levels after these adjustments. Exercise and a healthy diet does help in controlling sugar to a great extent as it allows glucose to enter the cells without the need for insulin. It also helps in lowering glucose levels as well as the blood pressure. Exercise increases stamina, fitness and energy levels as well. Patients with diabetes are recommended exercises that are a combination of aerobics and resistance training. The exercise and diet regime is created by physiotherapists and dietitians. The physiotherapists also supervise these exercises until a routine is formed until the patient is in the hospital. The same routine is advised to be followed at home after discharge. Just like exercise even diet forms and integral part of the health regime of a diabetic. Dietitians in the rehabilitation centres of hospitals teach patients how to manage carbohydrate intake as they can affect the glucose levels. They even provide information on healthy cooking and eating. Rehabilitation is a holistic approach to diabetes as it includes the balance diet, exercise and medications to improve the quality of life of diabetic patients and manage the disease in a better way. This entry was posted in Healthcare and tagged best hospitals in bangalore, Diabetes With Rehabilitation, medical institutes in bangalore, vydehi medical institutes in bangalore on November 23, 2018 by admin. 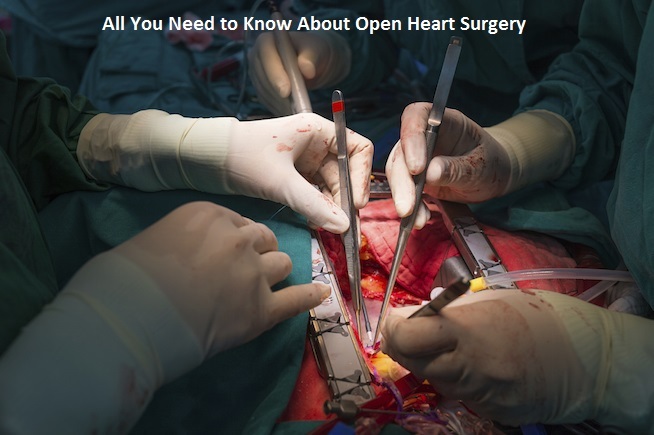 Open heart surgery is performed when the coronary arteries supplying blood to the heart are blocked and is the gold standard treatment for the same. The condition arising due to blockage of coronary artery is known as coronary artery disease. Open heart surgery is done to regulate the flow of blood through the arteries and prevent damage to the heart. In the procedure, blood vessels from other parts of the body are used to create a bypass. Generally, two to four coronary arteries are grafted for regulating blood flow to the heart. There are three types of bypass surgeries depending on the number of bypasses done, namely double bypass, triple bypass, and the quadruple bypass. Open Heart Surgery – Open heart surgery is considered only if the blockage is such that placing the stent is not feasible. Also, if there is severe coronary disease in the left main artery or in multiple arteries and there is high risk of heart damage. To check the exact blockage scenario cardiac surgeons advice on having a complete testing done. An angiogram is used for checking the severity of coronary disease. The other tests done before and after the surgery include electrocardiogram (EKG), blood tests and specific dietary instructions. During the on pump open heart surgery the surgery is performed under general anesthesia while keeping the patient on ventilator support. The primary step in the surgery is harvesting the blood vessels. Generally, the saphenous vein in the leg is used as it is long enough to create multiple grafts. Alternatively, if it cannot be used then vessels from the arm can be used. After the saphenous vein work is done, the chest is opened by making an incision along the breastbone. The surgeon cuts the sternum to gain access to the heart. In traditional or off-pump CABG procedure, the heart needs to be stopped using potassium so that the surgeon does not have to perform the surgery on a beating heart. The blood circulation is kept on with the help of a heart-lung machine and the ventilator is switched off. The machine then does the work of the heart as well as the lungs. The surgeon either removes the existing blood vessel and replaces the same to remove the blockage or reroutes the blood around the blockage. There could be one or more grafts to be performed. Once the grafting is completed the heart is restarted. The sternum is placed in its original position and closed with the help of a surgical wire. The surgical wire helps in providing strength to the bone for healing. Lastly, the surgeon closes the incision. On pump, surgery is recommended for unstable patients. The surgeon performs the surgery on a still heart so the process is quicker and even the bleeding is minimal. Alternatively, the cons include inflammation/ clotting after surgery, transfusion and fluid retention. Though after on-pump surgery the risk of stroke does increase. The off-pump surgery is very much similar to on-pump except that the blood flow through the body is maintained by the heart only and not the heart-lung machine as in on-pump surgery. The area to be grafted is held with the help of surgical instruments while the heart keeps pumping. This surgery is done on tentatively 20% of the CABG patients undergoing the surgery for the first time. This surgery is less expensive surgery compared to on pump and it also reduces the risk of stroke. Also, blood loss and transfusions are less compared to on pump. The hospital stay required is also less. 70% of the patients are not recommended to do the surgery due to the condition. The surgery is not recommended for unstable patients. The recovery period includes staying in Intensive care unit for 24 hours. The chest tubes are removed post 48 hours and then the patient is shifted out of ICU. Once the patient is awake the breathing tubes are removed so that the patient can breathe on his/ her own. Though supplemental oxygen may be given through the nose to help with breathing. The patient will be monitored closely and if he/she is unable to breathe, the breathing tube might be inserted again. Once the patient starts breathing on his/her own, swift rehabilitation steps are put into place. This includes sitting up on the edge of the bed, walking while taking care of the wound and preventing pain, etc. The life expectancy has greatly increased over the years up to 98% people undergoing the surgery can easily lead a normal life as that of the others who haven’t undergone any surgery. This entry was posted in Education, Healthcare and tagged best cardiologist in bangalore, Best Neurologist in India, cardiology super speciality hospital, medical institutes in bangalore, Open heart surgery, vydehi institute of cardiac sciences on November 12, 2018 by admin. A meta-analysis states that Diabetics, particularly women are said to be at a higher risk of cancer. Earlier studies had already determined a link between diabetes and cancer there was no clarity on the role of gender in the same. We all are aware about the bulging population of diabetics in India. As per statistics in 2015, over 400 million people had diabetes while over 17 million had cancer. Researchers in a recent analysis based on the study published in Diabetologia earlier have worked on data of over 19 million people with type one or type 2 diabetes in 100 studies as well as data sets. The studies revealed that women with diabetes are at 27% higher risk of cancer while men are at 19% risk of cancer, which means that women have a 6% higher risk of cancer as compared to men. Researchers even analyzed specific cancer types to check if women were at a higher risk and found that woman were indeed at a higher risk in most cancers. These include cancers like leukemia, stomach cancer, kidney cancer, oral cancer to name a few. Women are at a 15% higher risk of leukemia, 14% higher risk of stomach cancer, 13% higher risk of oral cancer and 11% higher risk of getting kidney cancer. However, men were at a 12% higher risk of developing liver cancer against women. Although, the reason behind women diabetics having a higher risk of most cancers is yet not clear but the researchers have come out with a hypothesis on the same. Toshiaki Ohkuma, Lead Author and research fellow at the George Institute of Global Health in Australia said that as compared to men, women have a longer pre-diabetic period. Pre-diabetic period is a period where sugar levels are above normal levels but not high enough to be considered under type 2 diabetes. Further a study of 2015 also revealed that women most likely skipped medicines of lowering blood sugar levels as compared to men. As the risk of cancer is associated with having higher blood sugar levels, and DNA damage, women with diabetes are at a greater risk of developing cancer than men as they have raised sugar levels for a longer period of time. Hence, it is advisable that women with diabetes need to be careful about controlling their blood sugar levels besides doing regular cancer screening in-order to detect cancer at earlier stages. A healthy lifestyle that includes a low sugar diet and a fitness regime coupled with timely health checkups can definitely go a long way in balancing sugar levels and reducing the risk of cancer as well. VIMS is one of the best cancer hospital in India, with 300 beds exclusively for cancer patients.Oncology department in the hospital has got qualified and well experienced doctors. This entry was posted in Healthcare and tagged best cancer hospitals in india, best hospital in bangalore, cancer hospitals in bangalore, Diabetics - Higher Risk of Cancer, medical colleges in bangalore, medical institutes in bangalore on October 23, 2018 by admin. Cocoa is Good for Health! If you are the one who loves indulging in dark chocolates and coffee, there’s some good news right up for you. A study has revealed that cocoa is major source of Vitamin D. Hence, food rich in cocoa like cocoa powder, dark, chocolates, cocoa beans, cocoa butter and more can boost your Vitamin D intake. Vitamin D has two types – Vitamin D2 and Vitamin D3. Vitamin D2 is present in foods like eggs, fish, and chicken while D3 is produced by the human skin under sun exposure. The study was published in the journal Food Chemistry and mentioned that cocoa is an actually rich source of Vitamin D2, one of the two types of vitamin D. The richness but varies from food to food like white chocolate will have a lesser amount of Vitamin D2 compared to Dark Chocolates. The research team dried the cocoa beans after fermentation and placed them on mats. These were then exposed to the sun for a couple of weeks. The idea was to determine if cocoa was a vital source of Vitamin D. As per researchers cocoa butter, as well as dark chocolate, had the highest amount of Vitamin D2. They also pointed out that vitamin D deficiency could lead to brittle bones as well as respiratory disorders. 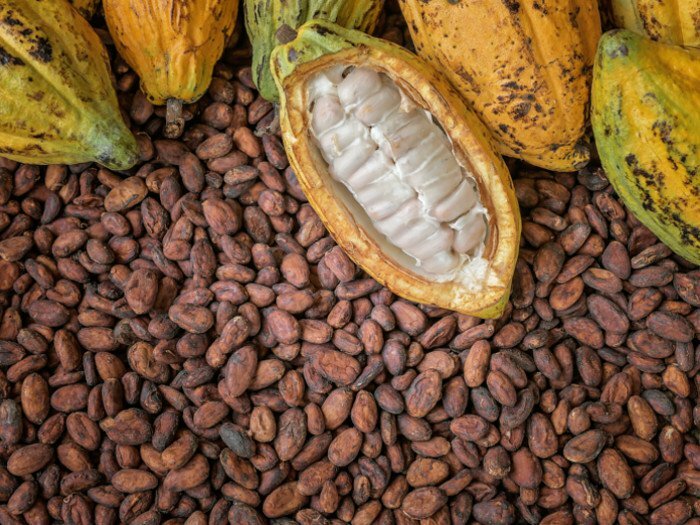 Having said that, consuming cocoa-based products in high quantity is not advisable because it does contain high fat and sugar, which are known to be bad for health. Do you want to know about foods that are a rich source of vitamin D and not harmful to health as much as eating too many dark chocolate cubes? Here are 5 foods veg and non-veg, rich in Vitamin D and good for health. Soy milk – It’s extracted from plant and is rich source of vitamin D. It’s a good for health and vegans. Mushroom – Again a rich source of Vitamin D and favourite food of many. Many delicious recipes are already available for you to experiment and relish. Dairy Produce – If you are a cheese lover, be happy, cheese is one of the richest sources of Vitamin D. But, that does not mean to eat burgers and pizzas loaded with cheese. It means you may add a slice or two for your breakfast. Egg – Egg is one product that many of us can eat day in and day out. It’s loaded with protein and super healthy. The yolk of the egg is rich in Vitamin D. So eat eggs with the yoke to draw in more Vitamin D.
Fish- All fish are known to be a rich source of vitamin D. But, oil and fatty fish have more Vitamin D content compared to others. These include Tuna, mackerel, Salmon and trout to name a few. A world class integrated healthcare system, with a focus on compassionate supercare. This entry was posted in Education, Healthcare on October 9, 2018 by admin. Yes, you read that right. 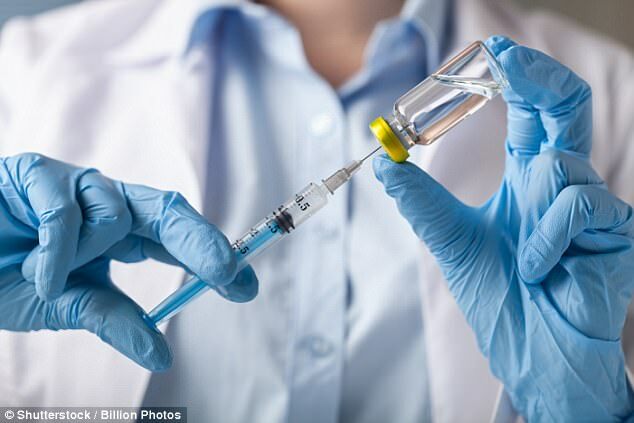 As per researchers of Stanford University, a vaccine they tested on mice has worked well in curing around 97% of the tumors in mice and is ready for human trial. According to SFGate. the human trial is scheduled to be conducted on 35 people suffering from lymphoma before the year ends. The study was earlier tested on mice with cancers ranging from colon, breast and lymphoma. The results were welcoming, because this treatment cured around 87 mice out of the 90. The best part is that tumors in some mice had spread through other parts of the body too and even then they could be cured. As per the regional director of breast surgery at North-well Health Cancer Institute in Westchester, New York, even if the news was exciting enough, the results on animals might not be the same as that on humans. So, there is still a long way to go before the treatment works for particularly cancers other than lymphoma, viz. breast and colon. Though it is called a vaccine, technically it ain’t. It is more of an immunotherapy. It is still given the name of a vaccine for a reason that is does contain a vaccine like injection. Also, as per the American society of clinical oncology, cancer vaccines can be used for referring treatment of cancer and preventing it from coming back. 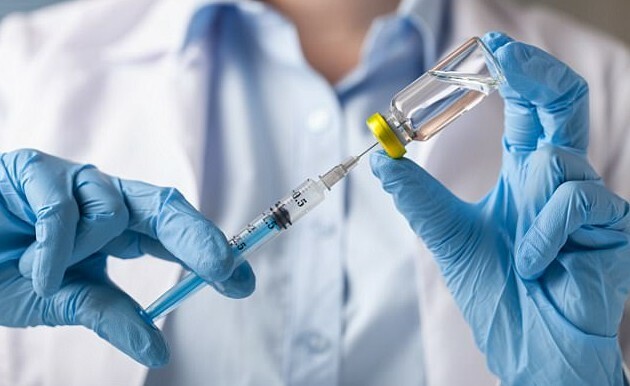 This vaccine involves the injection of the vaccine into the existing tumor. It does the role of reactivating the T cells. These T cells are responsible for infiltrating and attacking the cancer cells. But, as the tumor increases, the cancer tells suppress these T cells. Immunotherapy is not something new though. It has been in practice for quite some time. A treatment called CAR t-cell therapy has been already approved some time back for leukemia as well as lymphoma. This therapy is about removing certain immune cells from the body and genetically engineer these cells so that they become capable of fighting cancer. But, the advantage of this therapy over CAR T-cell therapy is that nothing from the body is to be removed or customized. Here it’s just targeted therapy where the doctors will be concentrating and attacking specific targets. Though this study is one step forward in the direction to treat cancer but still it’s a long way to go. Vydehi Institute of Oncology & Research Centre is one of the first centers in India to commission IGRT (Image guided radiation therapy) with respiratory gating apart from having other radiation equipment like High Dose Rate Brachytherapy (HDR). This entry was posted in Education, Healthcare and tagged Bangalore cancer hospitals, best cancer hospital in bangalore, best cancer hospital in india, Cancer center in Bangalore, cancer Hospital in Bangalore, cancer vaccine on October 4, 2018 by admin. In the last couple of weeks, this bacteria called Orientia tsutsugamushi has created a havoc in Nagpur area and already claimed 12 lives. The District Health Organization is already on high alert and the officer has directed the gram panchayats already to go for a pesticide treatment in the affected areas as well as surrounding ones. 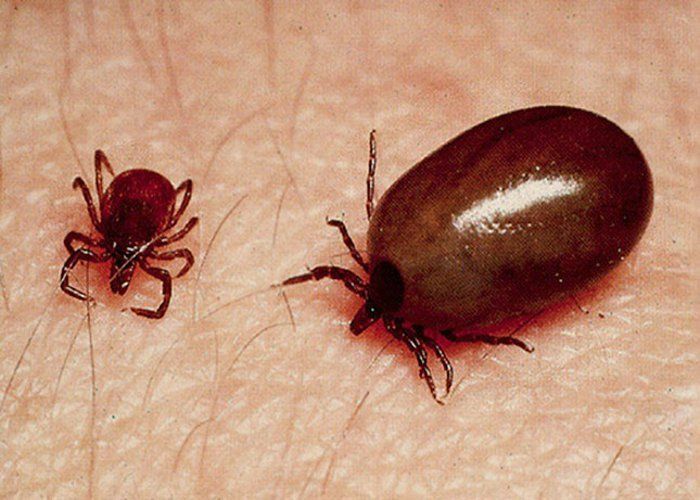 The disease is caused when a tiny insect called Chigger Mites bites someone. Chigger mite is found over bodies or large animals, grass or bushes and is of 0.2mm to 0.4 mm in size. Over 50 percent of the people who get infected by this bacteria need to seek immediate medical attention or they are most probably bound to die of it. In Nagpur the cases of scrub typhus are on the rise wherein 38 patients in the government medical college and hospital have tested positive already besides 44 more patients in the Nagpur division itself. Nagpur is not the first place to get affected by this bacteria. This disease spread its wings across Japan for the first time in 1899 and in Russia during the first world war, where it claimed lives of over 30 lac people. When the condition turns severe or worse, then bleeding and multiple organ failure could happen too. Based on the symptoms, blood tests are carried out to diagnose the condition and based on the symptoms the doctor will direct the treatment. So, if you experience one or more of the above symptoms while living in an area or surrounding area where Scrub Typhus is common then do get yourself checked. The best idea is to protect yourself from this deadly health condition by using full sleeves clothes, mosquito repellents of 20 to 30 DEET. As per the health minister of the state, though it is deadly in nature there are medicines available to treat the disease and hence people in and around Nagpur and hence there is no need of panic around it. This entry was posted in Healthcare and tagged Scrub Typhus on September 20, 2018 by admin. Carpal syndrome is a very common syndrome that many women experience during pregnancy. Statistics of 2015 say that between 30 to 60 percent women across the world suffer from this condition during their pregnancy. Though no exact reason is known still, experts do believe that this syndrome is a result of swelling due to hormones. Carpal syndrome is a result of swelling similar to that of swelling of ankles and fingers due to fluid retention during pregnancy. Carpal syndrome is caused when the median nerve passing through the carpal tunnel within the wrist becomes compressed. This nerve is responsible for controlling feelings in fingers. The carpal tunnel is made up of tiny carpal bones and ligaments. The pain is caused because due to swelling the tunnel gets narrower thereby compressing the nerve. This in turn causes hand pain as well as numbness or finger burning. The doctor will examine you on the basis of your symptoms and may also ask you to do electro-diagnostic tests for confirmation. This test records and analyzes the signals send and received by the nerves with the help of thin needles or electrodes. In order to check for any nerve damage, tinel’s sign is used. These tests are safe to be done during pregnancy. Most doctors while treating CTS take the conservative approach because they have to take into consideration the pregnancy factor. Mostly patients suffering from this condition get relief within weeks or months post-delivery. Avoid Wrist Bending Activities – Activities like throwing the ball or typing on the keyboard need to be reduced or if possible avoided. Cold Therapy – Using ice bags or towel wrapped in ice and massaging it over the wrist for 10-15 minutes at regular intervals can help in decreasing the swelling. Keep Wrists at an elevated position – Using pillows try to keep your wrists elevated. Do Yoga – Yoga is a good idea because it does help to give you relief in terms of pain and help with bettering your grip. Take Rest – Take rest whenever you feel pain or fatigued. This entry was posted in Healthcare and tagged best hospitals in bangalore, Carpal Syndrome in Pregnancy, medical institutes in bangalore, super specialty hospitals in bangalore on September 17, 2018 by admin. A recent study has revealed the ability of one blood test to detect as many as eight types of cancers with perfection. The study was carried out by a team of researchers at the John Hopkins University of Medicine, Baltimore and even published in the Science Journal. The study was carried out over 1000 people with the disease and showed high specificity and sensitivity as well. Today, even with many innovations and advances in science, Cancer is still not having a cure. While research is on, the estimated death toll by 2030 across the world due to cancer can go up to a staggering 8-13 million range. Because, cure is still to be found, the effectiveness of the treatment is limited to restricting the spread of the cancer cells and increasing life span. An early diagnosis is always beneficial in cancer but sadly, by the time you become aware of the cancer in your body, it is too late and its spread to other parts. The reason is lack of advanced tools for diagnosis. But, here’s some good news from the research team at John Hopkins University could crack the code to simple way to detect cancer that too in the early stages. The idea is to detect small fragments of mutated DNA as well as proteins that the cancerous tumors release in the blood stream, when they are formed, thus helping to detect cancer through a blood test. 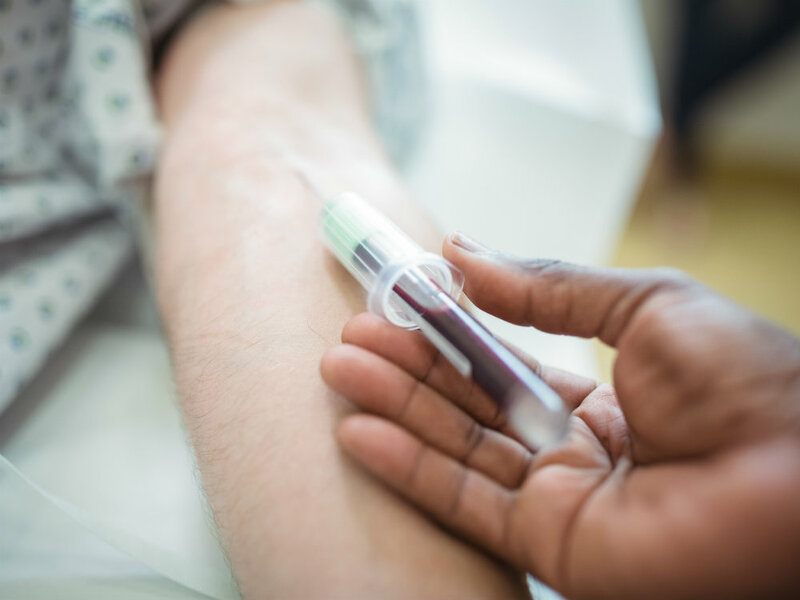 The researchers revealed that the new blood test has the ability to identify 16 gene mutations as well as 8 proteins linked to eight different cancer types. The cancers include colorectal cancer, lung cancer, breast cancer and five others that even today do not have routine screening tests for people with average risk namely pancreatic cancer, liver cancer, esophageal cancer, stomach cancer and ovarian cancer. As per the Cristian Tomasetti, associate professor of oncology and biostatistics of John Hopkins University, the uniqueness of this classification method in observing different levels of Proteins together with DNA mutations in order to reach to a final decision. The Cancer SEEK test was performed on 1005 individuals in total and successfully identified 70% of the cancers with high sensitivity ranging from 33% in breast cancer cases and upto 98% in ovarian cancer cases. In the five cancers which do not have routine screenings, the test performed even better showing a sensitivity of 69% to 98%. As far as specificity is concerned the range was 99% and out of the 812 people tested, it only showed seven false results. What’s more the test was even able to detect the location of the tumor in over 80% of the patients. As per the researchers, it will take further study to determine its efficacy as a routine screening test for cancer detection but the results are encouraging and definitely paves the way towards improving quality of life of cancer patients through early detection. This entry was posted in Healthcare and tagged best cancer hospital in bangalore, best cancer hospital in india, best hospital in bangalore, One Blood Test - 8 Different Cancers on September 11, 2018 by admin. Many of us aren’t aware that the government of India provides free TB medicines to people at government authorised centres like government hospitals, DOTS providers, Community directly observed Treatment as a part of their efforts to eradicate TB completely from country. Further, there is good news around it. 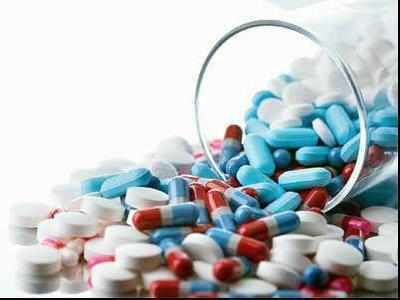 The highest drug advisory of India has considered relaxing the rules under the Drugs and Cosmetics Act. India has had a high number of TB cases and hence the government felt the need to make the TB drugs accessible faster. By taking private pharmacies into the circle of free stocking and dispensing of TB medicines will definitely increase the reach. The idea was popped last year with and objective of increasing the accessibility of the medicines for the people in need. Furthermore, the pharmacists will have to keep a stock of it also because they came under Schedule H1, as per the director general of health services. The proposal is to amend the rule 65(18) of Drugs and cosmetics act by proviso insertion on distribution as well as stocking of anti-TB drugs by taking private pharmacies into the Revised National TB Control program (RNTCP) of the government of India. By establishing linkages with the private sector the objective is to establish linking between the private and the government for not only distribution of free drugs but for patient support services and counselling as well. The national TB control program is on a mission of providing universal access to TB patients as the latest global TB report released by the world health organisation showed India topping the charts. Another other reason for trying to make TB drugs accessible at private pharmacies is to shun away the stigma around the condition in some sections of the society. So, if you know of someone having TB or just share this information on with your maids and other servants, it just might help them or people they know dealing with the condition. This entry was posted in Healthcare and tagged bangalore vydehi hospital, national TB control program, super speciality hospital in Bangalore, TB - Chest Specialist in Bangalore, TB Patients - Free Drugs, vydehi hospitals in bangalore, vydehi medical institutes in bangalore on September 11, 2018 by admin.